"Attorney Lehr settled my medical malpractice case for over 2 million dollars and treated me like a human being." "The attorneys at Jazlowiecki & Jazlowiecki could not have been better or easier to work with. From day one my job was to recover from my injuries and that's it. I never really had to worry about anything else and the level of personal attention meant a lot to me. They fought hard to get a settlement that I deserved. I cannot thank them enough." "I highly recommend Jazlowiecki & Jazlowiecki for any legal representation. I am very pleased with the services they have provided me over many years. I trust their legal knowledge and expertise to the full extent, and have had many great results." 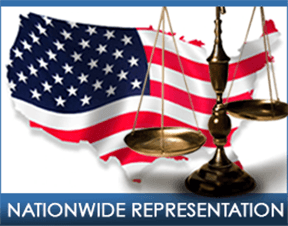 "Attorney Jazlowieck is Very knowledgeable. He does not talk down to you, got the job done I was very pleased with my settlement." "Great attorneys. Got me a huge settlement!" "Great Firm that handled all aspects of my personal injury case. Avoided a lengthy trial and got a really good settlement. Gives individual attention and returns calls."